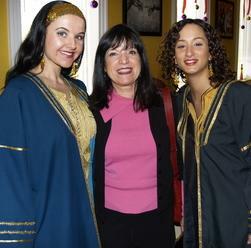 Founded in 1986, Habeeba’s Dance Studio offers comprehensive training in Egyptian style. Students of all ages and fitness levels are welcome! Level I introduces the basics of this energetic workout, improving your muscle strength and inner awareness. Level II incorporates head to toe muscle isolations and layered shimmies along with artistic expression. Advance classes utilize props including finger cymbals, veil, cane and improvisation, enhancing your now strong base as a dancer. Enjoy physical activity, meet people with similar interests and share a sense of community. Challenge yourself to show off your new skills with a solo at our studio recitals! Whether you wish you to expand your dance technique or enjoy a new physical activity through the ancient art of Egyptian Belly Dance, Habeeba will nurture these desires. Habeeba’s Dance Studio offers Private Instruction to Students and Professionals. Refine your technique, polish your style, develop an original choreography with Habeeba. Consultation, coaching and choreography are also available at our Toronto Studio. See our classes page to learn more. Dance your way to better health while expressing your femininity through this beautiful art form. 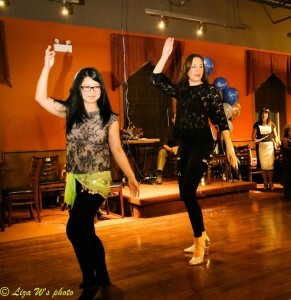 We offers specialized belly dance classes including prenatal-postpartum and stress management. Shireen’s class page coming soon!